As a veteran emergency room physician, Dr. Brian Goldman has a successful career setting broken bones, curing pneumonia, and otherwise pulling people back from the brink of medical emergency. He always believed that caring came naturally to physicians. But time, stress, errors, and heavy expectations left him wondering if he might not be the same caring doctor he thought he was at the beginning of his career. He wondered what kindness truly looks like—in himself and in others. In The Power of Kindness, Goldman leaves the comfortable, familiar surroundings of the hospital in search of his own lost compassion. A top neuroscientist performs an MRI scan of his brain to see if he is hard-wired for empathy. A researcher at Western University in Ontario tests his personality and makes a startling discovery. Goldman then circles the planet in search of the most empathic people alive, to hear their stories and learn their secrets. He visits a boulevard in São Paulo, Brazil, where he meets a woman who calls a homeless poet her soulmate and reunited him with his family; a research lab in Kyoto, Japan, where he meets a lifelike, empathetic android; and a nursing home in rural Pennsylvania, where he meets a therapist at a nursing home who has an uncanny knack of knowing what’s inside the hearts and minds of people with dementia, as well as her protege, a woman who talked a gun-wielding robber into walking away from his crime. 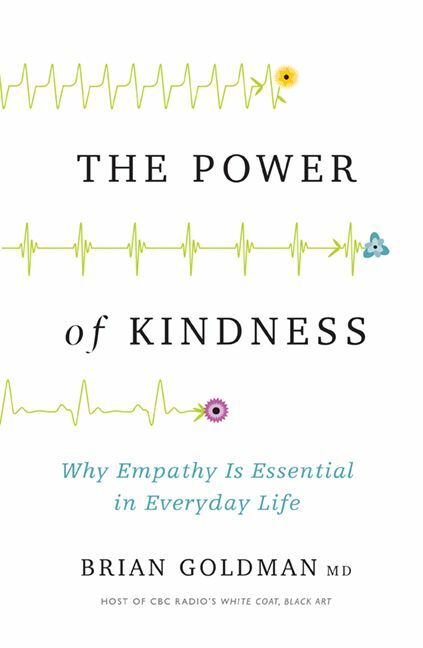 Powerful and engaging, The Power of Kindness takes us far from the theatre of medicine and into the world at large, and investigates why kindness is so vital to our existence. For more than thirty years, Dr. Brian Goldman has been a keen observer of the culture of modern medicine. Since 2007, he has hosted White Coat, Black Art, a multi-award-winning show on CBC Radio, revealing what goes on behind a hospital’s sliding doors. Goldman is the author of the bestselling memoir The Night Shift and of The Secret Language of Doctors. He lives in Toronto with his family.